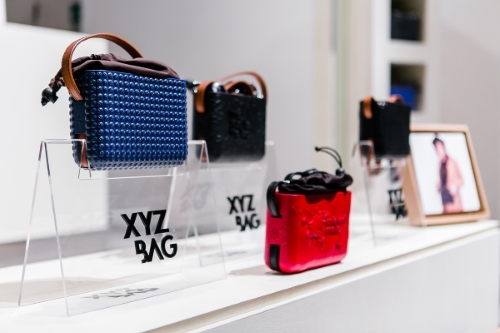 XYZBag is a new Italian brand established by designer duo Annalisa Nicola and Matteo Cattaneo. 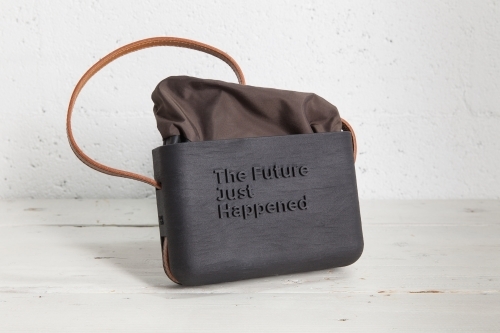 The brand uses cutting-edge 3D printing technology and new-age digital manufacturing to create DADA bags that are personalised for each buyer. The bags are custom designed as per the individual’s personality, mood, or the occasion. XYZBag allows people to choose colours, textures and even imprint personalised text or images on their 3D printed handbags. “We know that social recognition and texting are so important for digital natives today, and we would like to give them a special item to share with their friends that embodies their intimate urgency and tech savvy culture too. 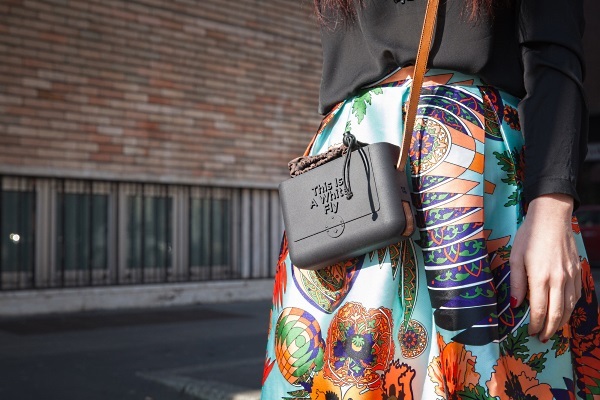 A support to help them feeling creative and expressive,” said Co-founder and CEO of XYZBag, Annalisa Nicola. XYZBag challenges the uniformity of regular bags by incorporating innovative textures, shapes and 3D designs in their DADA bags. The tech savvy handbag line is characterised by a futuristic 3D plastic case complete with an inside pouch with a cord lock and removable fastener. The bag is available in four versions DADA 1, 2, 3 and 4. DADA 1 has centralised text and fake closure imprint on the front, DADA 2 comes with decentralised text and innovative texture and finish, DADA 3 and 4 are geometrically designed bags customised according to the theme and requests of the buyer. The standard measurement of the bag is 12cm (H) x 18cm (W) x 6cm (D). The DADA bag is rather versatile and can be used as a chic purse or clutch for a glam everyday bag. The vintage leather strap transforms the bag into a cross sling bag or a quirky pack bag. The shopping experience with XYZBag is as modern as the product and buyers can completely customise the bags on their website. Once they’ve configured the bag to suit their requirements, the 3D graphics used on the site allow them to review the final product in a very detailed manner. Visit xyzbag.com to give this 3D printed DADA bag a try. Tagged Accessories, LifeSpice, Luxurious lifestyles, Sartorial Notes. Bookmark the permalink.